A scrap is a small piece or fragment of something. or something that has been thrown away but can be reused. Scraps, usually in the plural, are food leftovers. As an adjective, scrap refers to something thrown away or made up of scraps. 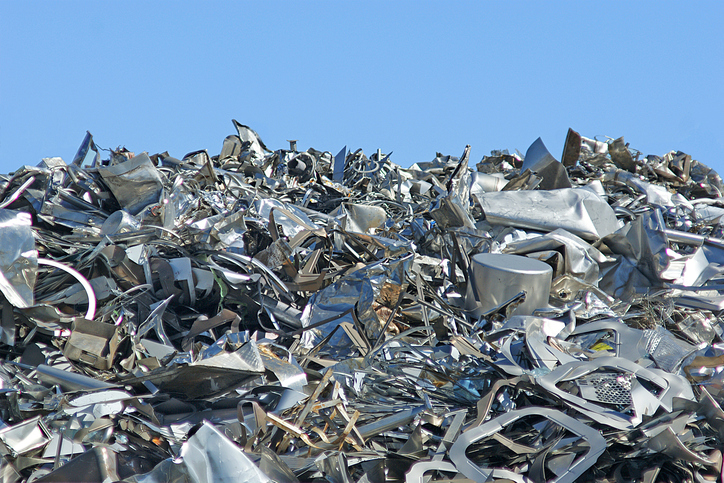 To scrap means ‘to break up or make into scraps’ and ‘to get rid of.’ There’s another unrelated meaning of scrap. As a noun, informally, it means ‘fight or argue’ and, as a verb, ‘to fight or argue.’ This last sense is much less common than the others. Helen scribbled the number on a scrap of paper. The scraps of material left from making the dress can be used as part of a patchwork quilt. Don't waste those scraps; give them to the dog. Frederica never throws out scrap material, as she loves to sew and can always find a use for it. Our car has broken down and it's too old to be worth repairing; I guess we'll have to scrap it. Bill and Nancy had to scrap their vacation plans when Bill's father was rushed into hospital. Everyone had a bit too much to drink at the party and a scrap broke out. I was woken up last night by cats scrapping in my garden. A scrapbook is a book where you keep things that interest you. It could be photos from your life or pictures or articles cut out from newspapers or magazines, locks (pieces) of hair, bits of clothing you have loved, things you have written, letters you have received … the list is endless! You can also use scrapbook as a verb, to mean ‘to keep or make a scrapbook’ and the verb gives us the gerund scrapbooking to describe the activity. Scrap dates back to the late 14th century. The Middle English noun scrappe, ‘small piece,’ was pronounced the same way we would pronounce scrap now, and came from the Old Norse skrap (scrap or trifle), a derivative of the verb skrapa, meaning ‘to scrape, scratch or cut.’ The meaning of ‘remains’ originally referred only to metal left over from the casting process, and dates back to the late 18th century. The verb, first used in the late 18th century, comes from the noun. The second meaning of scrap, meaning a fight, can be traced back to the mid-17th century, when scrap was a colloquial variation of scrape, and meant ‘villainy’ or ‘vile intention.’ The current meaning first appeared in the 19th century. The verb, also from the 19th century, comes from the noun.